Guarding against sun, mild acids, salts, heat and even water makes this the very best lacquer spray on the market for zinc sheets. 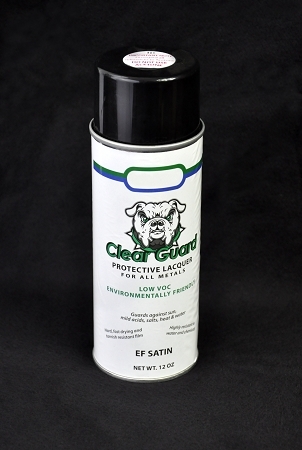 We usually recommend 3-4 coats (thin) depending on the level of protection your looking for. Clear Guards tarnish resistant film dries hard and fast. This product can only ship UPS-Ground and cannot ship USPS Priority or by UPS-Air.